A couple of months ago, I was invited to participate to an event organized by the Inter-Agency Working Group on Disaster Preparedness for East and Central Africa. The “Quality and Accountability learning event”, called to discuss “Upholding quality and accountability in humanitarian operations in conflict affected countries” brought together several NGOs, national and local, UN Agencies and donors to discuss how we are implementing Accountability in the region, challenges, opportunities and to share lessons learned. Amazing presentations were done by IFRC, Dan Church Aid, World Vision Kenya, Internews South Sudan, HelpAge International, Viwango, Burundi Red Cross – Hotline 109, ORDO Somalia. etc. His presentation was just to the point of what the entire CwC community has been discussing for years, and it really had the impact intended on the audience. After the presentation people starting questioning Gerry about how the methodology really works; how certain challenges can be overcome; how can they use this methodology in their work. Some of the debates and panels following the presentation referred to it often, talking about “how we give voice to the voiceless”. I really could not stop thinking: how the hell are we still talking about this as a NEW approach?? WHY? Why, in 2016, after years of studies and papers, and practical examples of how engagement and people-centered approach ARE more effective, we still seem to look at it as this new, revolutionary and mysterious way to do development and emergency response? And, don’t take me wrong, I was NOT criticizing anyone but the CWC, C4D and community engagement community: we are clearly still failing at proving the point! But this is not the only point that made me realize we are a long way from achieving a truly and meaningful engagement policy (overall): the point is how we still look at Accountability and Community Engagement as primary functions of OUR community. In short, WE do it: we make community engaged; we hold ourselves accountable; we give them a voice. And while I understand that behind this approach there is an honest intention to make everyone aware, in the humanitarian and development community, that we cannot ignore this, and that we have a duty to do all of these things; on the other side it also shows that we cannot get out of our top-down approach that makes us always the center of the system. For the past 7 years the CwC community pushed for CwC to be embedded into what organizations do. Now there are CwC Working Groups in a lot of major and protracted emergencies, from South Sudan to the EU Refugee Response, we are starting to realize that the approach has not changed: it is US doing it for THEM. What we have missed is that it is not about what we do, it is about how we do it. The use of the expression “give people a voice” is the perfect example: if we give it to them, we assume that they do not have a voice until we give it them, that they cannot speak for themselves until we allow them to. But isn’t it true that people have a voice even if we don’t listen? Isn’t it ridiculous to think that we have the power to give people a voice, as if our inability to listen defines their ability to speak? The reality is that we have not yet been able to change the entire paradigm, we are using the old one (we are at the center of the decision making processes) and than we add actions to it (like feedback mechanisms) and we call it Engagement. If the definition of community engagement is “Community engagement refers to the process by which community benefit organizations and individuals build ongoing, permanent relationships for the purpose of applying a collective vision for the benefit of a community” we still behave like it is up to us to define what that “collective vision for the benefit of a community” is. Therefore, we do not work on creating a “collective vision” but just on making people follow the vision that we have decided for ourselves. This is why almost all conversations about CwC or Community Engagement end up being a conversation about feedback mechanisms and messaging. Both this activities, while CAN be part of a CwC strategy, do not make up for themselves for a CwC strategy. Feedback mechanisms aim at looking at already existing programs and inform how we can make them better – AFTER we have already decided to implement that program and that activity. Most of the times., organizations do not use the feedback mechanisms to discuss the core of what they do “should we do this at all? should we do this in this way?” but just to know “how should I make this better? How do you evaluate this?”. Most of the donors that now require you to have a Feedback mechanism, do not allow you in the same way to turn the entire project upside down or even DESIGN it with the community. Messaging is on the other side the biggest fallacy of the CwC community: find the best way to tell people what to do. Here is the concept of two-way communication that have been completely changed in its meaning. Rather than seeing CwC as a two-way mechanism, meaning as a process, we now define a two way mechanism as a sum of two one-way mechanisms: I message you, and than I ask you feedback. There are still two actions, two different ways the information flows – from the community and to the community – but in the end it’s not a process, it’s two separate streams of information and two separate actions that do not influence each other. CwC is not a set of actions, it is a process. As all processes it is messy and sometimes complicated. Two-way communication is not the sum of two one-way communication systems: it is, again, a process whereby two actions merge to become one. We do not give people a voice: they have it already. It is not about what we do that makes them have a voice, it is about what we are NOT doing that makes us unable to listen. Accountability starts from within – it is US that are accountable to our beneficiaries and our donors. Again, accountability as CwC is not about how many feedback systems I have set up, it is about how able I am to take responsibility for what I do and don’t. If we keep transforming words like CwC and AAP into jargon and emptying them of their meaning, we run into the risk of completely missing the opportunity we have to truly re-shape aid, not just giving it a make-over. This entry was posted in ICT4D by Anahi Ayala Iacucci. Bookmark the permalink. 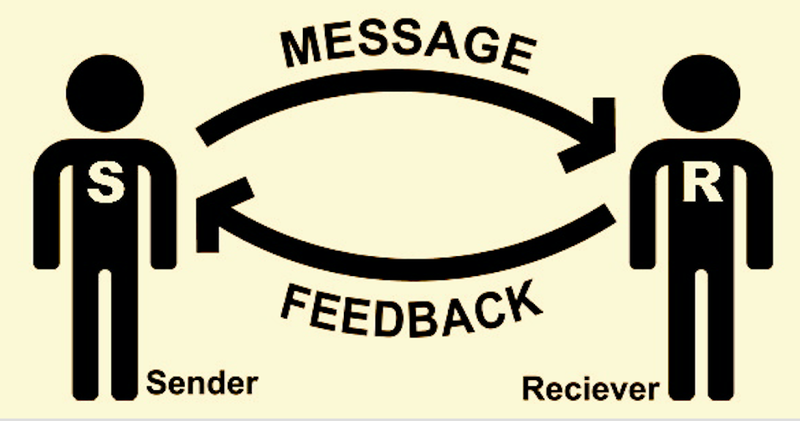 The key requirement is for the sender to be committed to listening to the feedback that they receive. Business has been used to doing this for years. Indeed, if you don’t listen to the feedback (i.e. complaints and some compliments) then you very soon go out of business. It is the law of business evolution… only the best fitted to the environment succeed… and that means acting on what the “market” tells you. The aid world is somewhat different in that the “customers” usually have little choice in where they go. However the donors who supply the aid agencies with money do have a choice. So if the feedback from the aid recipients is not heard (and acted on) by the aid agencies it may become heard and acted upon by the donors. Aid agencies therefore do need to wake up and adopt the best practices of marketing before they become bypassed. B R I L L I A N T! YES, and such biases underlie how we do some (much? most? all?) of international foreign aid. Implementer clients can be seen as our donors not our participants and local partners, often int’l dev projects still call them ‘beneficiaries’ (implying passive recipients not active equal partners, much less local experts who want to shape how development happens! That is part of the reason we don’t return after projects close out to look at sustainability – if we don’t do it, it won’t happen… Sigh. Just delighted to read your blog and am reposting. Thanks! Reblogged this on Brian Kanaahe Mwebaze Bilal's Public Health Freaks' Blog. I’m a college instructor that regularly assigns assignments on diversity-topics to my undergrads – it’s a big theme of my journalism classes. I think that we all agree that the phrase and cliche “Give voice to the voiceless” is an absolutely ridiculous phrase to describe restorative practices. It reeks of noblesse oblige. No argument. So “words matter” indeed. BUT – on this point – do any wordsmiths out there have a suggestion on a succinct and more on-point phrase or metaphor to use instead? It seems like the “succinct” part is the hitch, here… On the web, I’ve seen things like “amplify the voices of marginalized populations” (this one is the most acceptable I’ve seen, but still not awesome) and “amplify the voices of the voiceful” (ick!). I’ve been racking my brain a good long while on this and can’t come up with anything that isn’t wordy, clunky or (equally) trite or hokey. 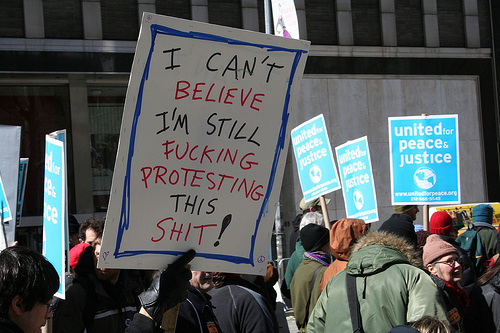 Again – I’m with you on this: “Giving voice to the voiceless” is an absurd cliche. That said, cliches exist for a reason (among others, a universally recognized metaphor to describe something). I’m not looking for poetry here – or a big debate on pro-social rhetoric – just looking a good way to refer to restorative practices where (lay)people actually know what the heck I’m talking about. Some useful suggestions would help me a lot – since I have to submit a syllabus in 10 days!